The Salter Brecknell PC Series are highly accurate and dependable price computing scales that feature front and rear viewable displays. Typical Applications include locations like Candy Stores, Farmers Markets, and small Grocery Stores. 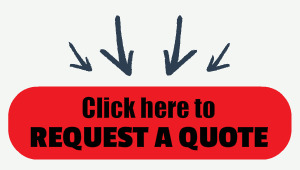 Choice of a 30 lb capacity model or 60 lb capacity model. The highest quality at the lowest price is the Brecknell Scales way. Seeing the name Brecknell on a high-quality price computing scale should come as no surprise. 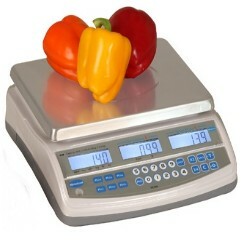 What will surprise you is the value and features packed into this affordable produce scale. The Brecknell PC series legal for trade scale, available from Central Carolina Scale, is constructed of ABS plastic with adjustable leveling feet and built in leveling bubble. Great for Applications like selling fudge by the pound, selling frozen yogurt by the ounce, selling strawberries at the farmers market, and small grocery or convenience stores. Platter Size: 11.8" W x 9" D. Power is provided by standard 110VAC power or the built in rechargeable battery. Typical use before needing to be re-charged is approximately 70 hrs without backlight and 35 hrs with backlight.